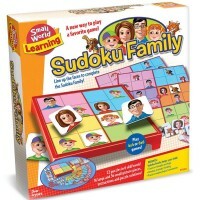 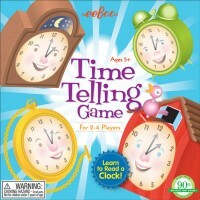 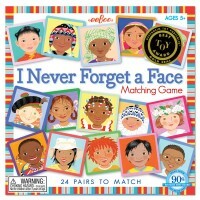 This unique card game by Eeboo is beautifully illustrated with crazy faces and played like classic crazy 8's game. 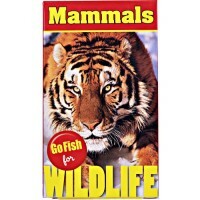 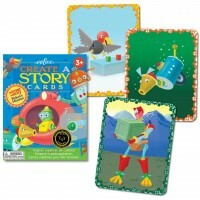 Make silly faces copying the funny ones on the cards playing any card game! 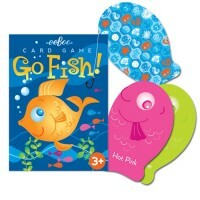 Crazy Faces Playing Cards for Kids by Eeboo combine a kids classic card game of Crazy 8's with fun fruity flavor. 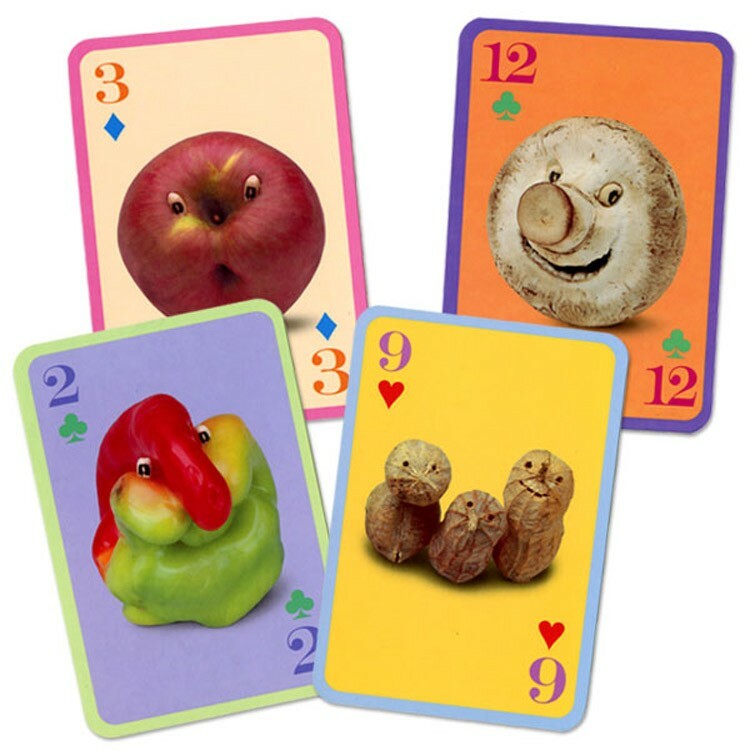 The playing cards feature cute and artistic fruit and veggie faces designed by Saxton Freymann. 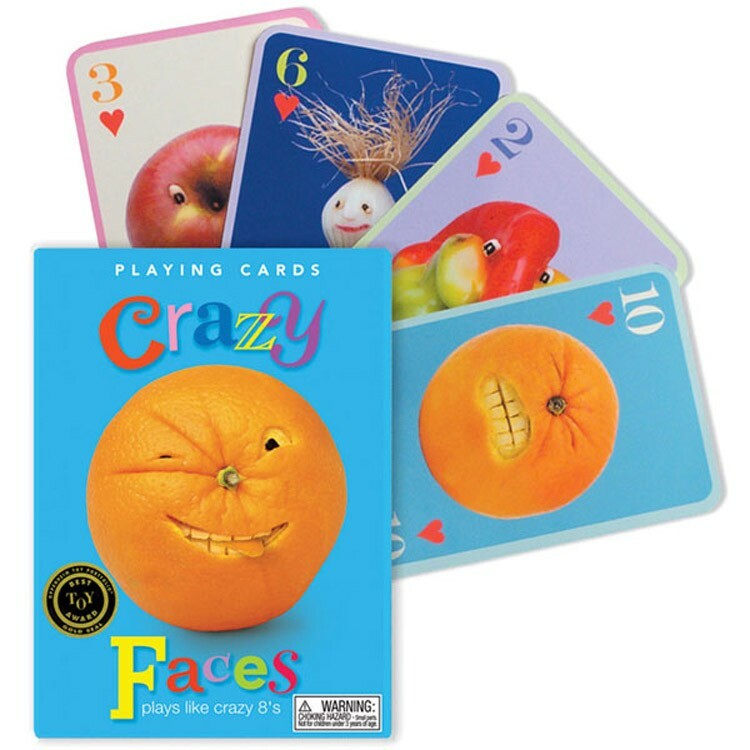 Crazy Faces Playing Cards for Kids come with the game instructions in a sturdy sliding tray box. 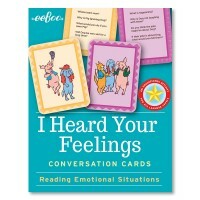 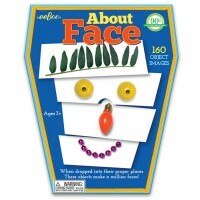 The fruit or vegetable face cards from this Educational Toys Planet's card game are 3.25 x 4.5 inches. 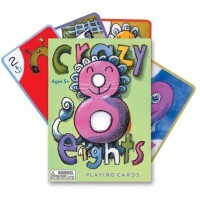 Play the matching game of Crazy 8's with the delicious Crazy Faces Playing Cards for Kids! 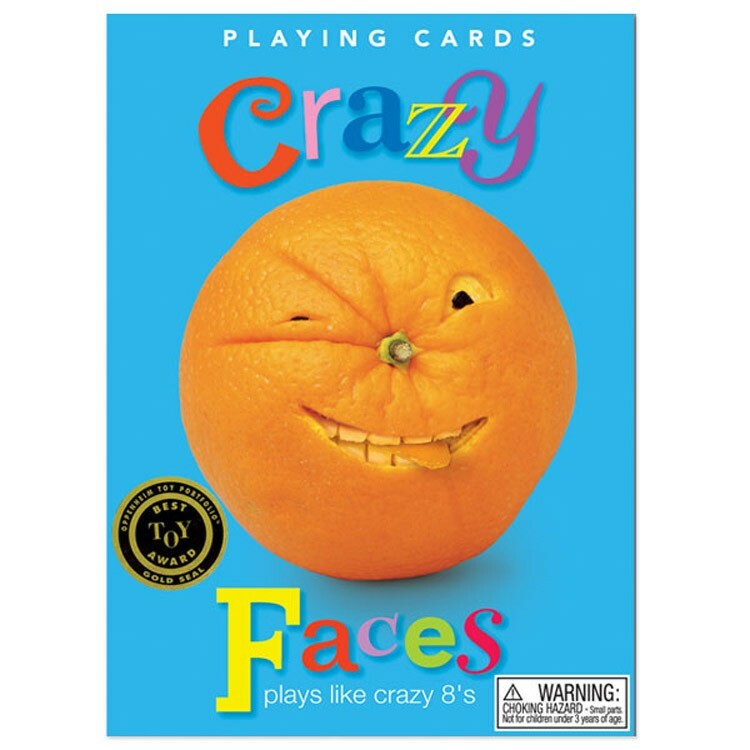 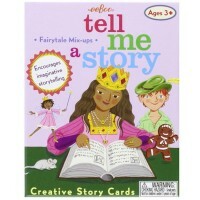 Dimensions of package 3.25" x 4.5" x 1"
Write your own review of Crazy Faces Playing Cards for Kids.